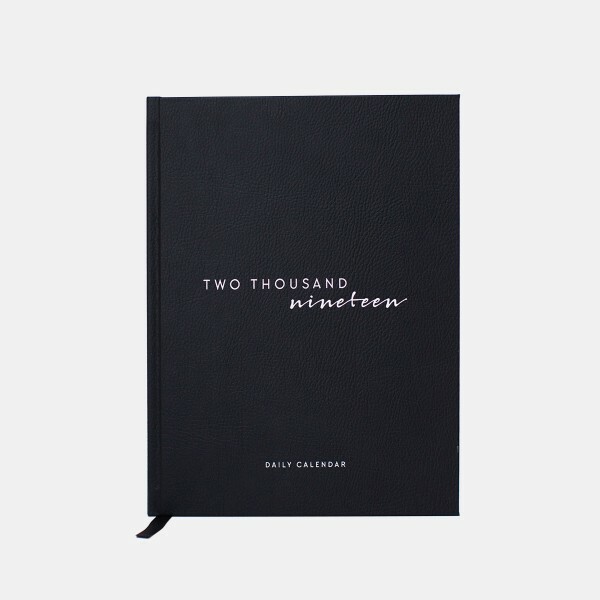 Minimalist, cool and infinitely helpful – the minimalist Daily Calendar Black & White will get you structured and in style through 2019! The 12 months are organized in a handy register and are perfectly protected by a robust hardcover out of black and white synthetic leather. Your new black and white planner offers all the space for planning and organizing for January to December 2019 on one page per working day with a timetable and note section. If at home, at the office or at uni – you are ready for anything with the daily calendar! Our Daily Calendar is now available on . Click here for the product.